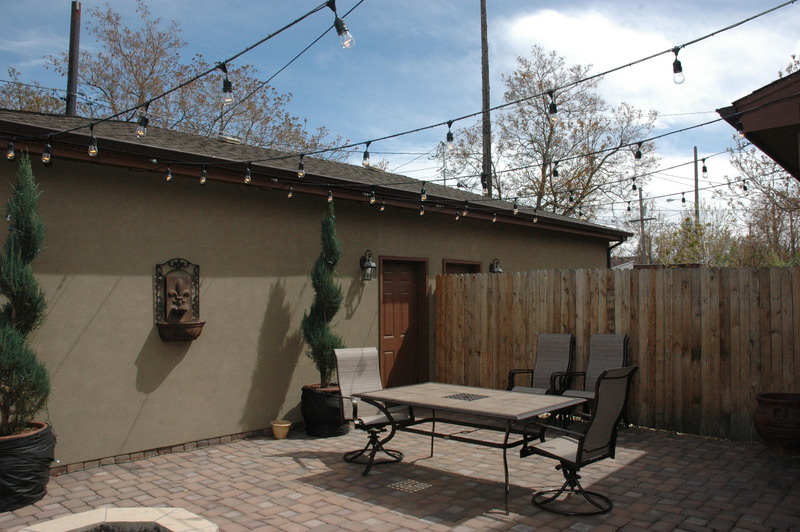 Outdoor Lighting Perspectives just completed a truly fun and unique lighting installation – festival lighting for a courtyard at a downtown Denver townhome. 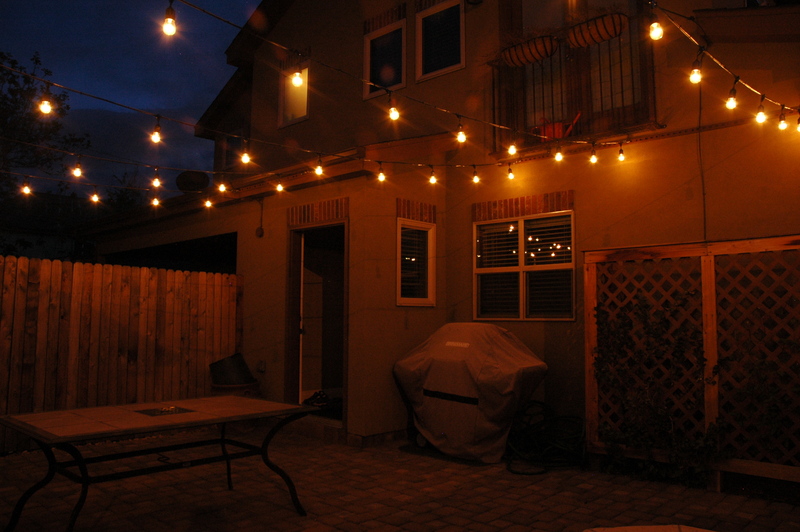 The five strands of line voltage festival lights used a total of 44 bulbs (11W each) to span the courtyard between the townhome and its garage at the rear of the property. With the installation of a 1000W dimmer switch, the lights are now controlled manually and can be dimmed to the desired setting to establish the mood for a party or to just relax at the end of a long day. To support the weight of the electrical wiring and bulbs, stainless steel aircraft cable was first installed for each of the five spans. 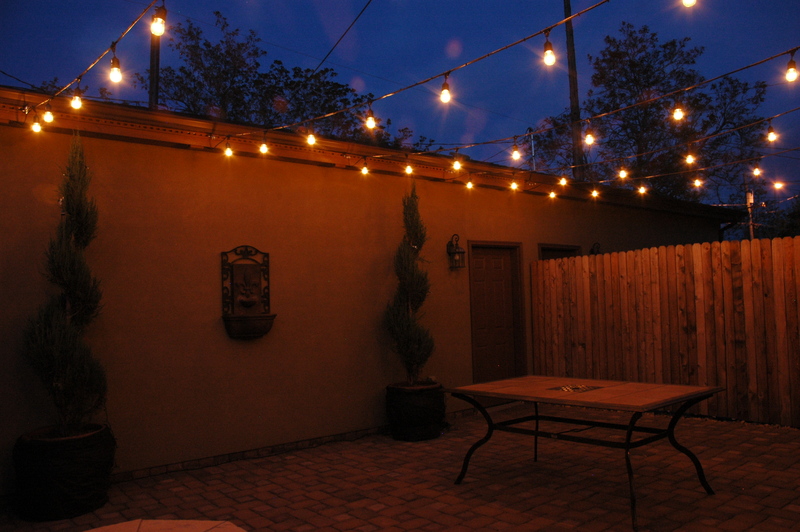 Most area residents have seen festival lighting used in Larimer Square and the Denver Pavilions, but may not have considered it for their own properties and outdoor living spaces. Through the use of commercial-grade lighting products and professional installation, now homeowners can truly enjoy this very cheerful lighting at their own homes as well. Another first at this installation was seeing the live birth of kittens when an alley cat took up temporary residence in one of the homeowner’s large pots on the courtyard. So I guess even alley cats cannot resist the ambience and warm glow of festival lights! Can Landscape Lights and Mulch Coexist? During the spring months in Colorado, most homeowners start turning their attention to their outdoor living spaces, gardens, and lawns. A big part of this effort includes cleaning up any remaining leaves and other wind-blown debris from the property, and freshening up the planting beds by re-mulching. 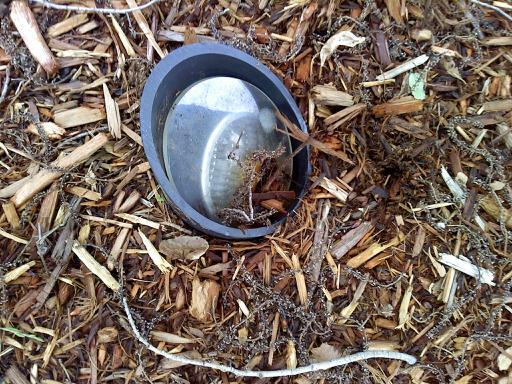 For those homeowners who also have landscape lighting systems installed on their property, it is critically important that none of the landscape fixtures become carelessly covered up by mulch during this process. If an outside landscaping contractor or handyman has been hired to do the re-mulching, it is encumbent on the homeowner to alert them to the location of each and every fixture – and instruct them not to cover up the fixtures. Many years ago one of our customers was out of town, and on a Friday afternoon, their landscaper carelessly dumped a 6-foot tall pile of mulch on one of the well lights. The landscapers didn’t plan to go back to the house until Monday to distribute the mulch – and early on that Saturday evening a girl riding her bicycle saw the resulting mulch fire. Fortunately, she summoned her father who was then able to douse the fire with a garden hose. Our national company initially installed well lights without lens covers – and then quickly transitioned to the acrylic lens covers. 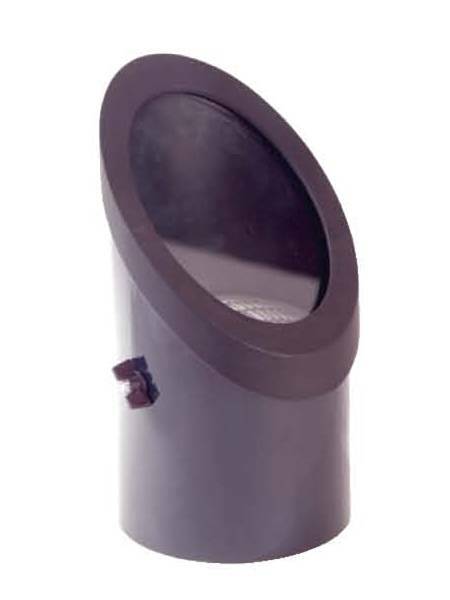 For about the last four years, we’ve been using tempered glass lens covers on every well light that we install. 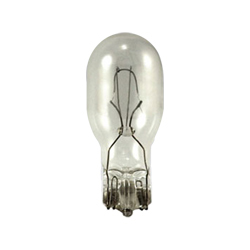 The glass is thick enough that it prevents the outside of the lens from becoming as hot as the previous acrylic ones, and it keeps flammable materials from contacting the bulb directly. 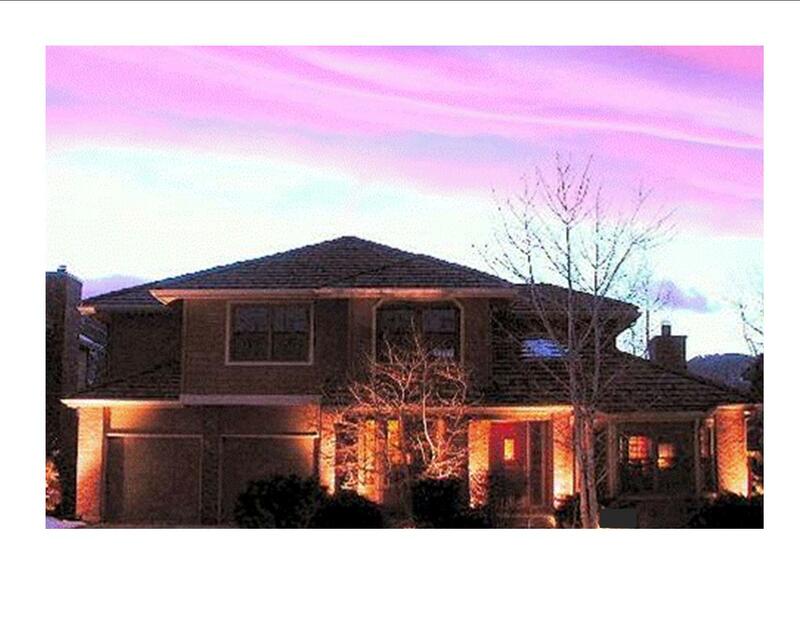 Surprisingly, most of the other major landscape lighting manufacturers are still not using lens covers of ANY kind. It’s not been uncommon when our crews are servicing non-OLP systems to find other manufacturer’s well lights that are totally covered by mulch. In some instances, we have found situations where a mulch fire had started previously. As with everything else around the home, it does not take a lot of time to do some preventive maintenance to ensure that the lights are not being covered up by mulch, tumbleweeds, or leaves. Another rule of thumb is not to purchase the least expensive mulch (usually the lightest) that tends to blow away during the first good wind storm. In the early 2000’s, the National Electrical Code also addressed this issue by requiring that low voltage transformers have secondary circuit protection (the wiring that goes to the fixtures in the landscaping). As lighting systems transition from quartz halogen to LED, mulch-related heat buildup problems and issues will decrease. However, in addition to safety, another main reason to ensure that your lighting fixtures are not covered up by mulch or dirt is because the light will be blocked – but you will still be paying the electric company for it anyway! A recently published survey conducted by the American Society of Landscape Architects asked residential landscape architecture professionals to rank the relative popularity of a wide variety of design features to be included in outdoor living spaces in 2011. Lighting was selected by 96.2% of the landscape architects, making it the most popular feature to be included in upcoming outdoor living projects. Ranked below lighting were fire pits/fireplaces, seating/dining areas, barbecue grills, and installed seating. 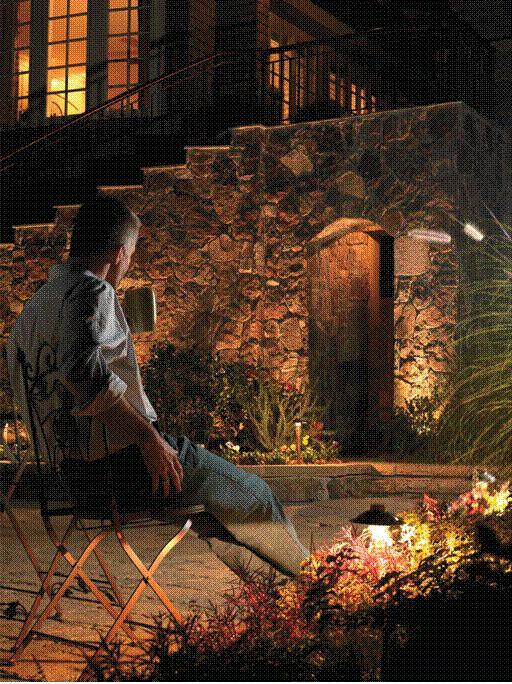 Based on our experience, we know that most homeowners also need landscape lighting after dark to safely reach their outdoor firepits and seating areas, and to have adequate lighting for both barbecuing and dining outdoors. 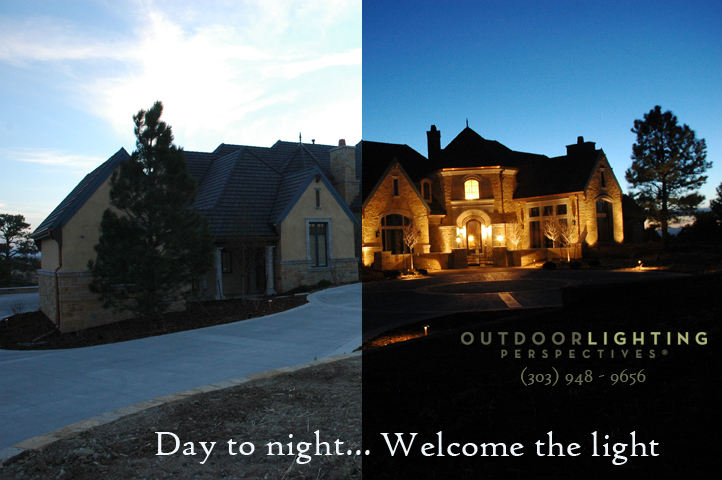 Landscape lighting not only makes your outdoor setting warm and inviting but it also allows you to enjoy your outdoor oasis from day into evening.